Good news for US troll fans; Magnet Releasing has acquired theatrical rights for the Norwegian mockumentary, The Troll Hunter. The deal includes the world (except Europe) so maybe the movie will be seen in theatres elsewhere too, and if not, on video in many territories. 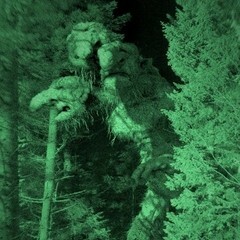 The Troll Hunter opens in Norway on October 29, 2010, and elsewhere later. New York – October 18, 2010 – The Wagner/Cuban Company’s Magnet Releasing, genre arm of Magnolia Pictures announced today that it has acquired World rights excluding Europe to writer/director André Ovredal’s THE TROLL HUNTER, produced by John M. Jacobsen and Sveinung Golimo. Shot in a vérité style, THE TROLL HUNTER is the story of a group of Norwegian film students that set out to capture real-life trolls on cam era after learning their existence has been covered up for years by a government conspiracy. A thrilling and wildly entertaining film, THE TROLL HUNTER delivers truly fantastic images of giant trolls wreaking havoc on the countryside, with darkly funny adherence to the original Norwegian folklore. The deal for world rights excluding Europe were negotiated by Magnet’s Quinn with producer John M. Jacobsen. Magnet will release the film theatrically in 2011.